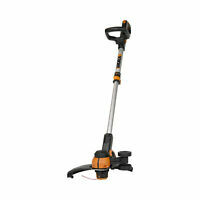 Troy-Bilt® AH721 Articulating Hedge Trimmer Attachment, 22"
Thanks so much, received item today. Powerful and light. Makes work go quickly. Mulcher is okay. THANKS FOR THE ITEM! EXCELLENT SELLER! Reasonable shipping speed, great price. Wicked fast shipping, item was perfect... awesome seller! Can’t describe how awesome this blower vac is turning a dozen normal bags of leaves into only two so easily for a guy with arthritis! Yes it makes dust, but that’s what pulverized leaves are so wear a mask and all is good! The blower is excellent and so I bought the bagging attachment and turned the massive pile of leaves into two trash cans of bagged leaves with no no raking and it was so worth it! Love it !!!!! The blower is awesome save for that it is very very loud. I had to wear noise cancelling headphones. It blows very well. Very powerful motor. It is also heavier than I anticipated, so the arm gets tired quicker and a little harder to maneuver. I was hoping Worx would have made this easier to handle and home friendly. I like the two speed settings. I haven't tried the vacuum and mulcher, maybe in the summer when I start cutting my grass. (A blower and a vacuum are basically the same thing; it just depends on which side of the impeller you are standing.) 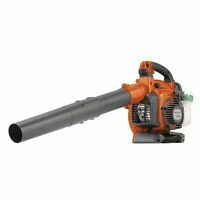 These blowers are such good quality that my company uses these in commercial cleaning applications. The metal impellers can handle vacuuming debris without damage. While I haven't used the vacuum yet, I used the blower and it is much more powerful than I expected. I was blowing out leaves from my entry area, part of which is enclosed, and that was a lesson learned. I started from inside the enclosed area and everything went swirling around like a tornado. After that I learned how to properly position myself and aim it, and all went great! It makes quick work out of blowing out leaves, dirt, and anything light, and probably turns what used to be 15+ minutes of sweeping into 5 minutes. The unit came packaged well, is easy to put together, just make sure you have an approved rated outdoor extension cord to use with it. Very happy with my purchase.